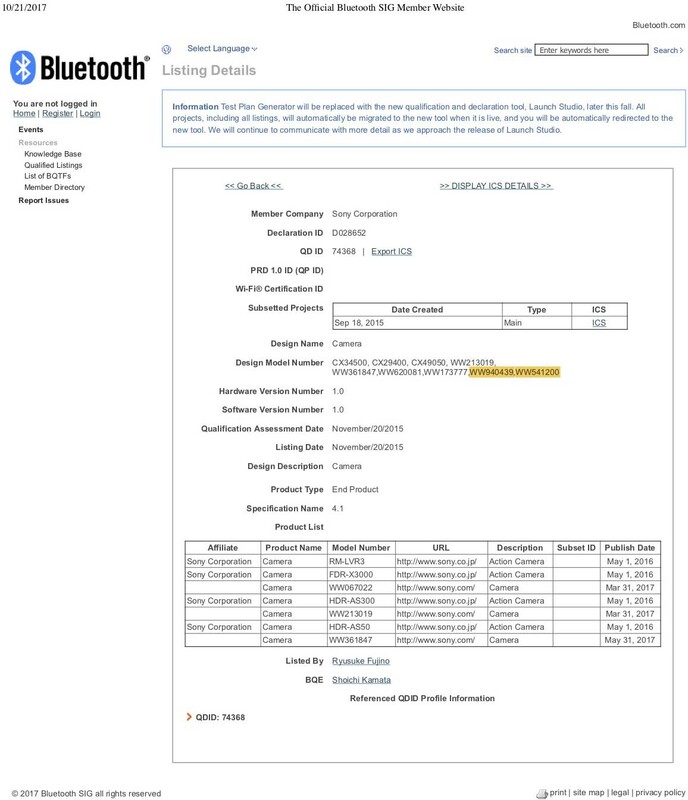 Bluetooth SIG listed Sony cameras WW541200 and WW940439 prematurely on their website, which you can see here. The other cameras that are still listed by their code names are the Sony a9 ILCE-9 WW361847, Sony a6500 ILCE-6500 WW213019, and Sony a99m2 ILCA-99M2 W067022. The other named cameras are action cameras. So the WW541200 and WW940439 could be a6000/a5000 series cameras or new a7m3 cameras. This is the first actual evidence of these cameras existing and we should hear more about them soon! This entry was posted in Patents and tagged Sony a7 III, Sony a7 Mark 3, Sony a7III. Bookmark the permalink. Trackbacks are closed, but you can post a comment.